With a career spanning half a century and showing no signs of retiring any time soon, the Persuasions continue to take on new and exciting musical projects. Over the summer of '09, it was the music of J.J. Cale, featuring the powerhouse baritone/tenor of "Sweet" Joe Russell on "I'll Make Love To You," and basso profundo, Jimmy Hayes on "Travelin' Light." Continuing the tradition of in-house self-arranging and producing, the group is now joined by Dave Revels, former member of the Drifters and long time Persuasions friend (who sang with them on their Beatles tribute CD and later arranged and produced their U2 tribute CD) as producer/arranger of the group's recording projects, along with Jimmy Hayes. Since the departure of lead singer Jerry Lawson, the "Pers" have regrouped and continue to perform nationwide to rave reviews. In 1962 Jimmy "Bro" Hayes invited the 30 or 40 guys he had been singing with at a basketball court to his house to get together a little group. Four guys showed up, and they went on to form pioneering a cappella legends The Persuasions. The last few albums of these giants of a cappella have applied their trademark harmonies to their favorite music-a gospel collection, a children's record, the music of Frank Zappa (who gave them their first record contract), the Beatles and the Grateful Dead. 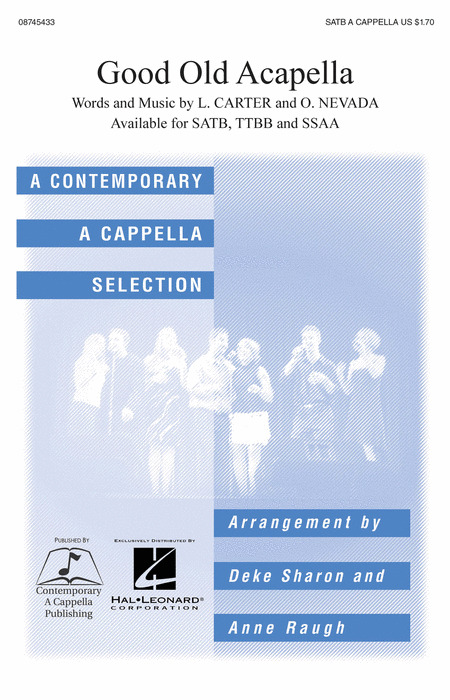 "A Cappella Dreams" is a tasty smorgasbord of 15 hits. "I Have a Dream" is a Solomon Burke song based on the words of Martin Luther King, three songs made famous by Elvis, Mac Davis' "In the Ghetto," "Don't" and "Good Luck Charm," Tom Jones' "She's A Lady," Otis Redding's "Dock of the Bay," "Ain't No Sunshine," the Four Tops' "When She Was My Girl," the Brook Benton song "Rainy Night in Georgia," Percy Mayfield's "Please Send Me Someone to Love"-these are anthems of a cappella soul. The Persuasions give us fans a gift with every recording and every live performance! Nice liner notes with all the lyrics. We first time were blown away by the Persuasions at Hill Auditorium in Michigan in 1971, in an era when when rock bands like the Doors would roar into town with their huge amps, guitars and synthesizers, and Motown legends like Gladys Knight and the Pips would make the short trip down from the Motor City to show us how it was done. The Persuasions opened for soulful Gladys, and the audience, there to hear her sing her hit "Heard It Through the Grapevine," wasn't expecting much. Holding just microphones, the Persuasions put on a soul clinic, and left to an astonished, appreciative standing ovation! The second time was at the West Coast A Cappella Summit 5 or 6 years ago where we got to go backstage and talk to Jerry, Jimmy, Jayotis, Joe and Toubo after a sublime set. "A Cappella Soul" is on Best of Rounder Records' "Perfect 10 Series," and it's aptly labeled. The ten are "All I Have to Do Is Dream," "Let Them Talk," "That's Heaven to Me," "Can't Do Sixty No More," "I Woke Up This Morning," the spiritual "Ain't That Good News," the Doo-Wop hit "Crying in the Chapel," "I'll Come Running Back to You," Elvis's "Return to Sender" and "Let's Get Married/Sincerely." Every one of these is marvelous. Treat yourself to "A Cappella Soul," a banquet from the legendary, pioneering Persuasions, still up there with mikes, doing their thing cool as you please, showing us mortals how it's done! Here's one of the group's earliest recordings which was originally released in 1969 and has now been digitally remastered and rereleased. The guys were young and their voices were strong and their enthusiasm is catching making this a truly authentic recording that catches the essence of the era perfectly. A must for all collectors. The middle of the 1970's was a period of change. The Persuasions tried a couple of albums for A&M Records which had bands backing them up. They received a lukewarm reception. For a period of several years, Jayotis Washington and it was during that period that the remaining quartet did one record for Elektra Records. Chirpin' was a definitive return to their a cappella roots from which they have seldom strayed, except occasionally as backup singers. It shares, once again, the joyousness and intimacy of four guys pouring their hearts out. Most of the songs are varieties of love songs except for one of the best a cappella tunes ever sung, "Looking For An Echo." It so captures the The Persuasions history, that even if the rest of the album weren't great we would still recommend it for any fan. Comin' At Ya is from from the very heart of The Persuasions singing career. It was by this time that they had introduced so many people to the world of a cappella music that they were becoming recognized as the definitive group in the field, period. Their street corner style had created a sound of such individuality that it is very seldom that another group can cover a Persuasions tune and not suffer by comparison. The blues, R&B and touches of doo-wop that were combined to create street corner singing are all present. "Just Because" is a blues of lost love. "I'll Be Forever Loving You" is an archetypical doo-wop. "Don't Let Him Take Your Love" covers the R&B and because of Jerry Lawson's fabulous shout-lead will never again be covered and sound quite right. They ought to retire that tune and hang it on the wall of some hall of fame. There was a period in the 1980's that second tenor "Sweet" Joe Russell retired and so the group proceeded as a quartet. Though you would suspect the sound might be a little thin, the balance of voices to which we have become so accustomed seem to go right on without missing a beat. Jerry Lawson is inspired endlessly by the work of Sam Cooke who started a gospel career with the Soul Stirrers before his meteoric R&B career, and David Ruffin who was the great lead singer of the Temptations. Six of the tunes on Good News were originally popularized by those singers. In fact Sam Cooke not only was the original singer, but also the writer of "Cupid" and the co author, with William Cooke, of "I'll Come Running Back To You." Were we to pick the most memorable piece of music on this recording, however, it would be the "Swanee River Medley" which combines "Swanee River," "Ol' Man River" and "Raise 'Em Up." One doesn't have to be under four feet tall to be charmed by this CD. In fact, adult listeners will be transported on the good ship to Rock Candy Mountain with as much enthusiasm as their younger companions. Songs such as "How Much Is That Doggie In the Window" and "Teddy Bears' Picnic" are sung with such sweetness, who could resist? By the way, the Persuasions have never been in better form musically (in all their 37 years as a group!) and their cohorts, the "Lollypop Kids Chorus," chime in for several songs. It's all a cappella and a great way to introduce the inexperienced ear to harmony - the Persuasions themselves encourage one and all to sing along! Pioneering a cappella 5-man quintet The Persuasions, who have wowed us live at the West Coast A Cappella Summit, and with 18 beautiful albums on Singers.com, bring us another winning tribute to a rock icon. Having so honored such groups as the Beatles, U2, Frank Zappa and the Grateful Dead, "Knockin' on Bob's Door" features (of course) the music of Bob Dylan. Two Doo-Woppy, rearranged versions of "Mr. Tambourine Man" and the anthem "Like a Rolling Stone" and a rhythmic, Africanized "All Along the Watchtower" gives us an immediate taste of what a treat we're in for. "Don't Think Twice It's All Right," "Positively 4th Street," "Lay Lady Lay," "Just Like A Woman"" and "Knockin' on Heaven's Door" are all Dylan masterworks that are reinvented and rearranged in the Persuasions inimitable trademark harmonies. Other favorites among the 14 sumptuous cuts are "Blowing in the Wind," "When I Paint My Masterpiece" and "Forever Young." Dylan's iconic material and the Persuasions' deep-harmonied, soulful a cappella sound make a winning combination that we're sure you'll want in your collection! After his conspicuous absence on Good News, "Sweet" Joe Russell is back singing on four of the songs, "I Was Wrong," "I Woke Up In The Morning," "Sweet Was The Wine" and "Slip Sliding Away." But on this 1986 Rounder Records release we have an unique addition. Bev Rohlehr appears on the other seven songs, adding a sweet lightness on this recording that was never repeated. You really should hear it. The version of "Still Ain't Got No Band" is in the grand tradition. Overall it is a traditional Persuasions mix of some gospel mixed among oldies like Roy Hamilton's "You Can Have Her," Clyde McPhatter's "The Treasure Of Love" and a Drifters Medley of "Under The Boardwalk" combined with "Sand In My Shoes." The real rouser of the record is "Victim." Magnificent! 1986 recording from the acknowledged authorities of a cappella, whose sound is characterized by a significant blues and gospel influence. Intense performances and strong material distinguish this collection: "Slip Sliding Away," a rambunctious "Sweet Was The Wine," "I Was Wrong" (originally sung by the Moonglows), "Under The Boardwalk/Sand In My Shoes," and the a cappella mantra, "Still Ain't Got No Band," more. A re-invented, remixed, rearranged, updated, and expanded two-CD set from the sessions for The Persuasions long out-of-print Grateful Dead tribute album. Persuasions of the Dead (named by Tom Waits! ), was conceived by Los Angeles writer/producer Rip Rense as a sweeping two-CD set, formatted like a Grateful Dead concert,with six new tracks, six new guest artists, and an entirely new feel. Guests include Country Joe McDonald, Mark Karan of Bob Weir's group, RatDog, saxophonist James King, Vince Welnick the Dead's last keyboard man, Jackie LaBranch and Gloria Jones of the Jerry Garcia Band, Grammy-winning bluegrass musician Peter Rowan, vocalist Alyn Kelley, and Dongming Qiao, Chinese erhu virtuoso. After an absence from the recording studio following the passing of Herbert "Toubo" Rhoad, the remaining quartet returned once again to share their unique musical sound with us. They sing a selection of songs from some of their old musical sources of inspiration such as Sam Cooke but extend into works the likes of which we haven't heard before such as the slightly odd "Lucille Has Messed My Mind Up," written by their old friend Frank Zappa. Another unusual offering is "Oh, Heavenly Salvation" written by Kurt Weil, Bertol Brecht and Arnold Weinstein which is as classical as they have ever sounded and is the only religious music on the recording. You will also hear music by Percy Mayfield, The Five Royales and The Troggs. So who needs a band, anyway? They Still Ain't Got No Band! 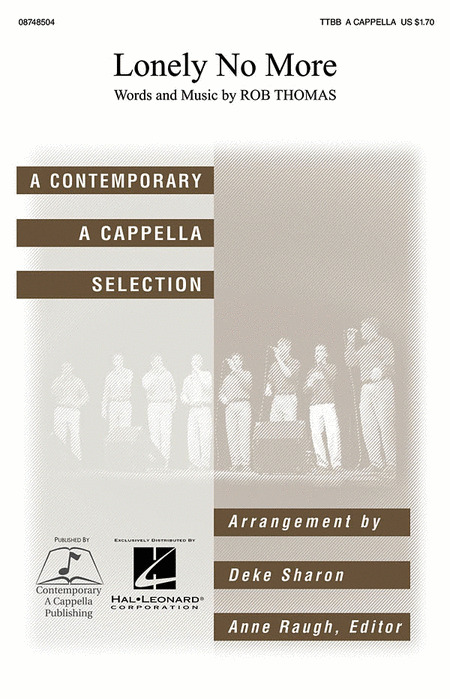 In this 1996 recording the same four original members, Jerry Lawson, Joe Russell, Jayotis Washington and Jimmy Hayes more than ever are the professors emeritus of a cappella music. They have introduced three generations of people to a cappella music and are still going strong. 32 years later we are given a wonderful recording full of the soul moving, toe tapping, spirit lifting music for which they are known around the world. Starting off with an inspiring call to faith with "Building A Home" they proceed toward the musical morality play "Life Is A Ballgame" which they heard sung over the closing credits of the movie Cobb. Alternately belting and beguiling, we are led though faith, love, chicken stealing and getting old on a great recording. The Persuasions are the best! A Cappella pioneers and legends The Persuasions, who headlined to standing O's at the A Cappella Summit in San Rafael a couple of years ago, have been one of the most prolific recording bands we know of, with 19 titles in the Primarily A Cappella catalog, 20 counting "Sing U2." In the past few years, the Persuasions have treated us to CDs covering the work of some of their (and our) favorite groups: The Beatles ("Sing The Beatles"), their patron and mentor Frank Zappa ("Frankly A Cappella"), The Grateful Dead ("Might As Well") and now "Sing U2." The Persuasions' soulful, deep-bass a cappella takes on these groups, some of the most influential musicians of our time, are just what the doctor ordered! 10 songs, some favorites are "Even Better Than the Real Thing," "Angel of Harlem," "The Wanderer," a marvelous cover of "I Still Haven't Found What I'm Looking For," "Stuck In A Moment You Can't Get Out Of," "When Love Comes To Town," "Trying to Throw Your Arms Around The World," a surprising Doo-Wop interpretation of "Pride" (In The Name of Love), "One" and "Mysterious Ways." This is sweet, soulful stuff that we regard as the ultimate tribute to U2 and the other groups, and we can only hope that the series continues for as long as possible. Who could be next-Bob Dylan? Hendrix? The Stones? Led Zep? Ray Charles? Janis Joplin? Listen, guys, whoever you pick will be perfect, and a gift to their fans and yours everywhere! Though time obscures the first recording of The Persuasions, it is definite that their first album was on Frank Zappa's Straight Records and distributed by Reprise. That was l968. In 1971, they signed with Capitol Records which released three albums. Spread The Word was the third and features gospel and inspirational tunes, not necessarily traditional ones, though. For the opener they perform a spoken piece with a melodic vocal backing which transforms to vocal fanfare. The piece, "Three Angels," was written by Bob Dylan. Songs of spiritual uplift but not specifically gospel are "Lean On Me," "Without A Song" and "Ten Commandments Of Love." Oh, yes, this is the album with "Without A Song" which is so definitive that all we can suggest to aspiring groups is, be safe, don't try! Over the years we have enjoyed the Persuasions' tributes to Frank Zappa, who gave them a break getting into the music business, the Beatles and the Grateful Dead. We saw them blow away the audience at the A Cappella Summit. But "Stardust" was recorded at two tiny studios in New Jersey in 1969, and not released until a full decade later. We hear (and see, in some vintage photos and a poster) the five Persuasions when they were just starting out building their huge legion of fans. Twelve songs, like "The Vow," "Swanee," "A Thousand Miles Away," "The Sun," "Ebb Tide," "I Won't Be the Fool Anymore," "Old Man River," "Rev's Medley" and "Gypsy Woman." Sweet, soulful, pioneering a cappella Doo Wop, straight from the source! With this recording The Persuasions flirted with the "big break." It actually made the charts. "Buffalo Soldier," "Temptations Jam," "People Get Ready" and "Christian's Automobile" are probably the most copied of the ten songs, but the whole album is a treasure. A little story told by Jimmy Hayes puts in perspective the difficulty The Persuasions faced in striving for popular acceptance. He tells of one record company president who signed them and in confusion admitted that he didn't know what to do with them or how to promote their music. He loved their singing but didn't even know what a cappella was! All of us who love a cappella music owe these guys a debt of gratitude, for they spent their lives keeping it alive. For a long time they were the only ones, and now it's thriving once again it's great to have them get the recognition they deserve. Year 2000 release by this prototypical and legendary vocal harmony group, now reinforced by new member B.J. Jones (replacing the late "Toubo" Rhoad). Though the Persuasions are cast in the doo-wop mold, "Sunday Morning Soul" borrows from the Southern gospel tradition that fashioned the Harmonizing Four, Soul Stirrers and Pilgrim Travelers, to name just a few. It's a blessed union, indeed, and the five sing with an intensity that smolders. Their fundamental harmonies are seasoned with grit and ballast, giving songs such as "That's My Desire" and "Cain's Blood" a condensed earthy depth. It's a sound borne of experience. This is one of your reviewers favorite albums, ever. Pretty strong opinion, but when this was released it was effectively the only a cappella music available with the exception of local East Coast groups. Their first album was actually produced by Frank Zappa, but this second one is one of the three on Capitol Records that established The Persuasions as the premiere a cappella group in the world. The voices are rich and vibrant. The music chosen established their repertoire of rhythm and blues, soul and gospel. They became adept at creating such spirited covers of Curtis Mayfield, Sam Cooke and The Temptations that it is almost impossible for anyone to sing "Persuasion's" songs and not sound wrong somehow. The original album cover, now reprinted on the CD, is a picture of the group on the basketball court where they first met and began singing together. It's amazing that the godfathers of contemporary a cappella have recorded for 30 years without previously singing a holiday album. But here it is, 14 songs performed as only the Persuasions can. The recording opens with a rollicking rendition of the title tune You're All I Want For Christmas, and includes a mix of traditional songs ("Silent Night," "Joy To The World") with contemporary tunes (doo-woppy "Rudolph the Red Nose Reindeer," "Merry Christmas Baby"). First performed by The Persuasions and popularized by The Nylons, this is an a cappella classic! First performed by The Persuasions and popularized by The Nylons, this tune has become a standard for contemporary a cappella groups.